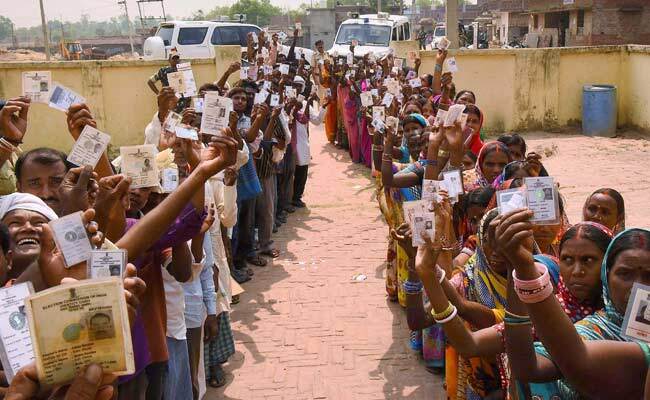 Ahmedabad: Gujarat is all set for Saturday's first phase of Assembly elections in which 977 candidates will battle it out to get elected from 89 of the 182 constituencies, with the ruling BJP facing a strong Congress challenge. The polling on Saturday will begin at 8 am and end at 5 pm. There are a total of 24,689 polling booths. Of the 2,12,31,652 voters, 1,11,05,933 are males and 1,01,25,472 females while 247 are from the third gender. On the seventh and last day of campaigning on Thursday, PM Modi, BJP President Amit Shah, Rupani and Uttar Pradesh Chief Minister Yogi Adityanath addressed several public meetings. The Congress campaign has been led by its vice president Rahul Gandhi. The Patidar Anamat Andolan Samiti (PAAS), which has been agitating against the BJP government for more than two years, has been asking people not to vote for the BJP, a subtle message to vote for the opposition.